Most of the ways to go green in the living room are centered around sustainable design including flooring, furniture, art, and lighting. You know that artificial “new” scent that wafts from a fresh coat of paint or a new piece of furniture? That intoxicating smell is actually produced when furniture “off-gases,” or releases chemicals known as Volatile Organic Compounds (VOCs) into the air. These chemicals are found in many household items and can greatly affect indoor air quality. In fact, the EPA found that found levels of common organic pollutants tend to be 2 to 5 times higher inside homes than outside. While hardwood floors are popular flooring options, they are not the most environmentally friendly because of deforestation. Instead of hardwood, opt for eco-friendly floorings like cork, bamboo, or recycled glass tiles. For more options, check out Green Building Supply . These green options all come from renewable or recycled materials and prove that you do not have to sacrifice style for sustainability. 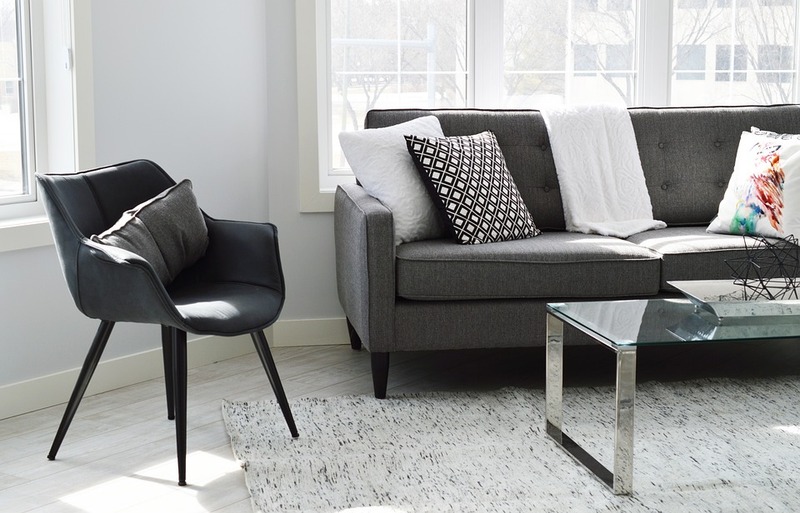 When buying new rugs, be sure to stay away from synthetic materials like polypropylene. Not only do these type of materials take a lot of resources to produce, they also “off-gas,” or release VOCs into the air. Search for organic chemical free rugs from Earth Weave and Merida or make your own recycled plastic bag rug! Although it may be easy to simply head to Ikea when shopping for cheap furniture, be sure to visit your local thrift shop or check online resale stores before buying anything new that might break in a couple years. 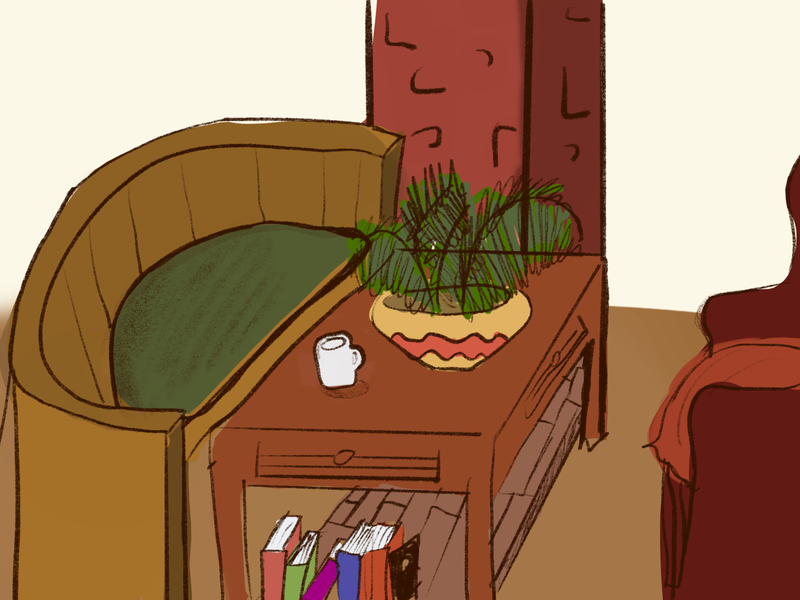 Additionally, check out our Excess Access page to look for more recycled furniture! If you are set on buying a brand new piece of furniture, make sure that it is made out of recycled or recyclable material that can have a long life. Check out brands like Greenington Bamboo Furniture, Environment Furniture, and Lee Industries for some awesome eco-friendly options. One simple fix you can do to make your home more eco-friendly is to switch out your older, incandescent light bulbs for Compact Fluorescent Light bulbs (CFLs). This easy switch can actually save you at least $30 in energy costs over the life of the bulb. In addition to CFLs, there are many other great energy-saving options, including LEDs. But before reaching to either of these lighting options, always be sure to utilize natural light as much as possible! Often acting as the focal point of any living room, fireplaces establish a warm, cozy atmosphere and bring the family together during the colder months. However, they are not the most environmentally friendly. Burning wood can release toxic chemicals that negatively affect both our health and air quality. 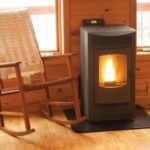 Instead of a traditional wood-burning fireplace, opt for a bio-fuel fireplace from Ethanol Fireplace Pros or go for a pellet stove from Harman Stoves that burns compressed sawdust and agricultural waste instead of wood. In addition to rugs and furniture, VOCs can also be found in household paints. When buying new paint, be sure to look for water-based, VOC-free formulas from brands like Ecos Paints, Colorhouse Paint, and Natura Paint. You can also opt for milk paint, an organic and biodegradable option that uses milk protein as a binder. All of these options prove that you don’t have to sacrifice color quality when going green! When looking for household art, be sure to support environmentally friendly artists like Nina Boesch, Marina DeBris, and Aurora Robson, who all use recycled materials to create their innovative designs. Additionally, look to buy from local artists or make your own natural plant-based paints using food from your garden. Check out Recycle Nation for more information on DIY paints.